I also referred to the fact that 2012 would mark 100 years since the sinking of Titanic and that the anniversary would provide an excellent opportunity for IMO and the maritime community to review past achievements, consider present challenges and contemplate the future of ship safety; and I emphasized the significance of the United Nations Conference on Sustainable Development, Rio+20, held in June 2012, and that IMO should play a critical role for the world economy in ensuring environmentally sound and sustainable shipping. I also instigated a process of review and reform of all activities within the Organization itself, covering the financial stability of the Organization; a total review of the sub-committee structure; the Secretariat’s meeting-support arrangements; human resources management in the Secretariat; application of the latest information and communication technologies to the work of IMO; strengthening our outreach programmes by extensive use of social media; and establishing the IMO Maritime Ambassador Scheme. I further commissioned the sustainability study on the World Maritime University resulting in the adoption of new strategic directions and the Endowment Fund for the future sustainable growth of the University at the state-of-the-art, award-winning new campus in Malmo. After a period of intensive collaboration over the past four years, I am pleased to observe a dramatic reduction in piracy incidents off the coast of Somalia. I think we have made good progress in all the activities of IMO and the Organization is well equipped to face new challenges and move forward into a new era. 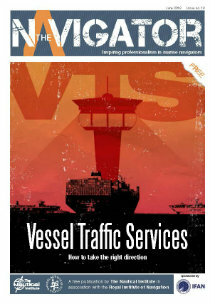 Looking ahead, demand for shipping services over time will never cease, as shipping is the servant of the world trade. The global population has passed 7 billion and is still rising. Shipping is indispensable for the world. But, to secure successful and sustainable future, shipping needs to atrract investment, to attract high-calibre people and to stimulate creative thinking and technological innovation. Shipping needs to be safe, secure, efficient and environment-friendly. Technical innovation and the regulatory imperative will continue to ensure that shipping becomes cleaner, greener and even more efficient, especially as newer, more eco-friendly vessels constitute a greater percentage of the fleet. We should aim at a low-emission and low-sulphur shipping industry. This can only be achieved by the development and rigorous application of new technologies, new operational standards and investments in logistics and the provision of clean fuels. In IMO’s field of responsibility, for legislation and implementation, we will continue to face major challenges, such as the smooth introduction of the mandatory audit scheme, continuous contribution to the global efforts to deal with climate change and emissions, maritime migrants, piracy in west Africa, enhanced technical cooperation and promotion of new technologies. I would like to encourage IMO Member Governments to make further efforts to reduce the vulnerability of passenger ships against hull damage, to develop and introduce safety standards for domestic passenger ships in the Safety of Life at Sea Convention, to implement the Ballast Water Management Convention and continue to reduce CO2 emissions from ships by introducing emission reduction targets per ship. The United Nations has long been at the forefront of efforts to secure the peaceful, cooperative and legal use of the seas and oceans for the benefit of mankind. I truly believe that the recently-adopted Sustainable Development Goals provide a clear pathway for the future of the world. If growth and prosperity are to be sustainable, international maritime transportation will be a necessity and a key component, supporting trade and helping to build sustainable economies. IMO stands ready to support the development and implementation of the Sustainable Development Goals and I am confident that all IMO Member States will engage in discussions on how best to realize them, through the Organization’s work. The article, reproduced here with the author’s kind permission, was written by Koji Sekimizu, General-Secretary of the IMO (elected in 2011).